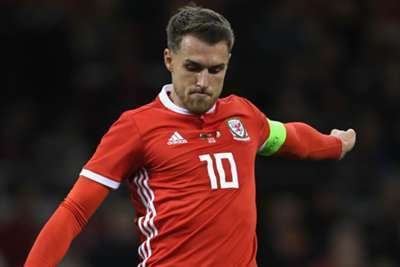 Aaron Ramsey will miss Wales' Nations League clash with Republic of Ireland for "family reasons". The Arsenal midfielder played the full 90 minutes in Wales' 4-1 friendly defeat to Spain on Thursday, but the Football Association of Wales has confirmed that he will sit out the match in Dublin. No official reason has been given for Ramsey's absence, but his wife Coleen is expecting twins. The 27-year-old has been replaced by Swansea City's Daniel James, who had been with the Under-21 squad. Ramsey's absence is a further blow for manager Ryan Giggs after Gareth Bale returned to Real Madrid on Sunday to recover from a groin injury, while Ethan Ampadu and Chris Mepham have also pulled out. Daniel James has been called up to the senior team from the under 21's this morning.